Selling a property is stressful. Your goal as the seller is to make your property look as good as possible in as cost efficient manner as possible. Therefore, the cheapest and easiest things to do are paint, change light fixtures, clean, and redo the floors. As a buyer, you need to look beyond the cosmetics to see what’s really going on. 1) Exterior cracks and tilts. The inside can smell fresh from that wonderful floor varnish and paint, but the exterior could cost you a fortune if you don’t pay attention. 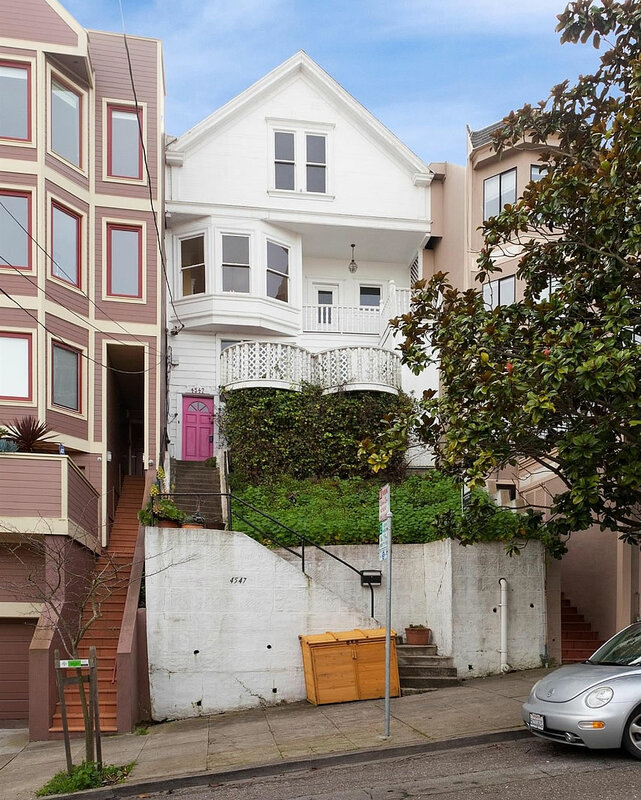 Here’s an example of a Victorian house in San Francisco that was purchased for $1.45 million in March of 2017. It looks OK, right? But when the owner went to get a permit to remove some decayed siding and a rotted door, he found more serious foundation issues. Below is what the house looks like now in 2018. What went from fixing up some siding ended up being a complete demolition of the entire structure! Why? Because very often when you start rehabbing a property, the deeper you dig, the more problems arise. Once you’re in there, you figure you might as well replace more and more stuff until you might decide to demolish the entire structure. If you didn’t initially budget to spend six figures destroying the house as a buyer, your financial situation will be seriously compromised. On the other hand, if you did have plans to sneak a demolition in to save on permit fees to build a massive structure for a flip, then maybe you’ll be just fine. Just make sure to have a wad of cash to pay off the building department employee who has to approve your new structure! Bring a leveler, preferably with a laser pointer. Make sure the cracks aren’t much more than 1/4 inch wide. If they are, you should get a structural engineer to inspect. A lot of sellers will attempt to mud over and paint the cracks, so look out for a paint or surface mismatch as well. 2) Ownership history. Just like when you see a resume which shows a new job every year, a home with high turnover is also a serious warning sign. I consider high turnover as any home with an average ownership length of three years or less per owner. For perspective, the average length of ownership for a home in America today is about nine years. You can easily check homeownership turnover online. It’s really hard to truly know what it’s like to live in a home until after you’ve taken possession. My biggest fear about buying my old SF rental property was that it was on a busy street next to the busiest street in all of San Francisco. My then girlfriend and I camped out for hours during the day and evening before making the purchase. Yet even then, once we took ownership, we discovered we had underestimated the constant honking, rattling manhole cover, and tremors from the traffic. I ended up spending $10,000 for sound deadening windows that were installed behind the original windows which I also replaced with dual panes for another $10,000. 3) Look for water damage concealed by paint. 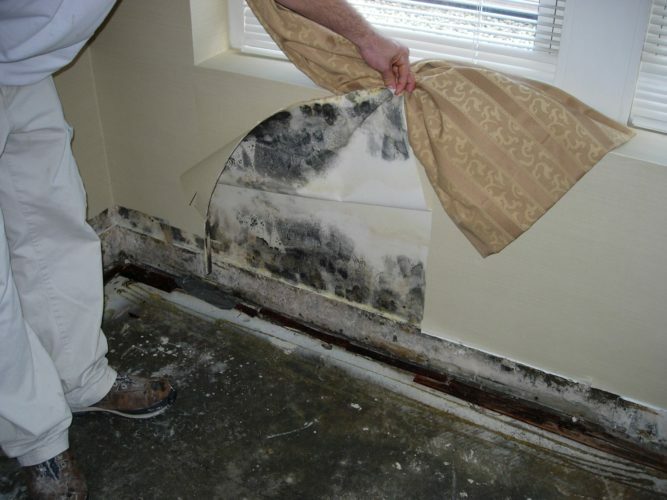 If you conceal water damaged areas with paint, you trap the moisture in the walls that will likely lead to mold. Black mold is unhealthy to breathe. Look carefully at the underside of drawers and sinks in the kitchen. Look at the base of the tubs and toilets. One of the biggest culprits is the sheetrock underneath window sills. If you see soft or warped sheetrock, you know there are leaks. During my 10 years of ownership, twice I hired a handyman to cut out the sheetrock, replace with new sheetrock, mud, sand, and then paint. In preparation for my sale, I also did some of my own patching and sanding work as well. Nevertheless, I still had to disclose the leaks in my disclosure package so they couldn’t use the lack of information to back out. 4) Uneven or bouncy floors. Always bring a marble to an open house and place the marble around different areas of the floor of each room. The older the house, the more important it is to do the marble test to see how uneven the floors are. Sometimes a house will aggressively settle, creating a hump in the middle. Deflections are costly to fix because you’ve got to rip out the existing floor, correct the support columns, find a matching floor, and finish it to match the original flooring. And if there are very uneven floors, foundation work might also be needed. 5) Beware of room fresheners. Stinky people wear deodorant or perfume. Therefore, stinky houses are often sprayed or decorated with scented candles or potpourri. Your mission is to find out whether there is an insidious odor emanating somewhere in the house. It could be a leaky pipe, mold, sewage, cat and dog pee, etc. 6) Beware when music is playing in each room. The agent/seller is trying to mask the noisiness outside. I know, because this is exactly what I did when I had potential buyers come over. I turned on the central fan to create some white noise and played some music in the master bedroom. Insist that all music and AC be turned off so you can determine the noise level yourself. 7) Areas the seller won’t let you see. If a seller won’t allow access to the crawlspace or a room in the property until you are under contract, they probably have something to hide. 8) Sellers providing incentives to waive inspection. There is no reason to waive inspection unless there is something big to hide. Always have an inspection contingency because it is your leverage to get out of a deal or negotiate your price lower. 9) No permits for work done. You should always ask to see the Report of Residential Building Record aka 3R Report. The 3R report is like the report card for your property. If the seller says they added a new deck, the new deck should be in the 3R report. If it’s not, then there is a chance the deck was not built up to code, and may, therefore, be unsafe. There are some things that really don’t need a permit, such as remodeling a bathroom or changing windows. You can easily tell whether the work has been done right or wrong. But for major structural and electrical work, a permit is very much preferred. 10) Spray painted hedges. Who the heck would spray paint their hedges? It looks so fake. Yet here I was, minding my own business on an afternoon stroll when I saw a realtor do just that. They also bought new grass for their once dead front lawn. Smart on the natural grass, but not so smart on the spray. Curb appeal is very important. But it must be done right. If they are taking this shortcut, what other shortcuts could they be taking? 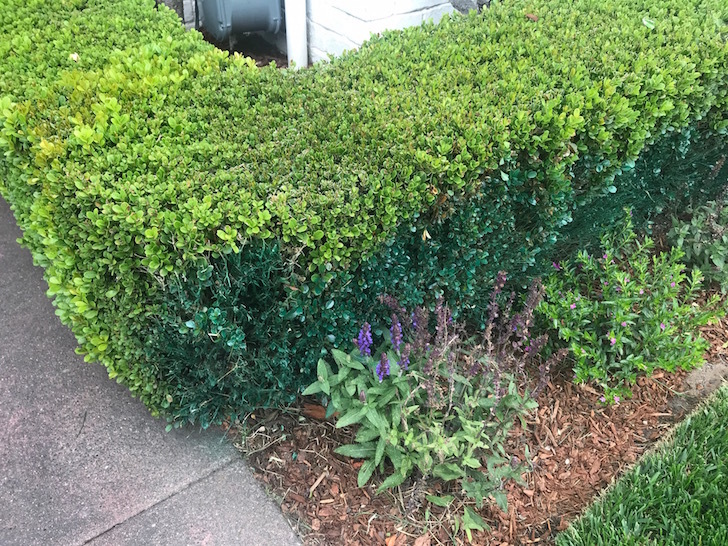 Spray painted hedges is a red flag! Each time you visit a property you want to buy, put your inspector’s hat on. Test the electricity and water. Inspect the foundation. Look at the electrical box and see if it is properly labeled. 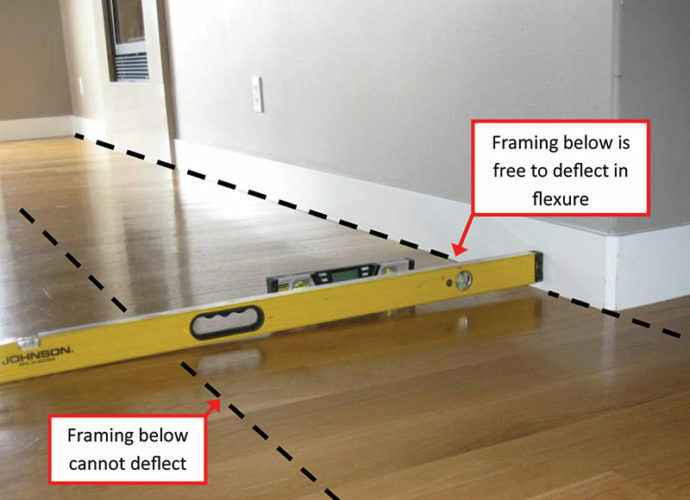 Bring a marble and a needle to inspect the floors and sheetrock. Look at the ceilings to see if there is any new paint spots. Don’t forget to bring a notepad too. A good disclosure package will highlight all the problems of the property. But it’s up to you to verify the problems are what they say they are, and not something worse. You should make it your mission to find even more problems and use them as leverage when negotiating. After coming up with a detailed list that needs fixing, you’ve also got to come up with a detailed remodeling budget if you plan to redo the bathrooms, kitchen, and so forth. My kitchen and a couple bathrooms hadn’t been remodeled in 25 years. My HVAC unit was 20 years old. 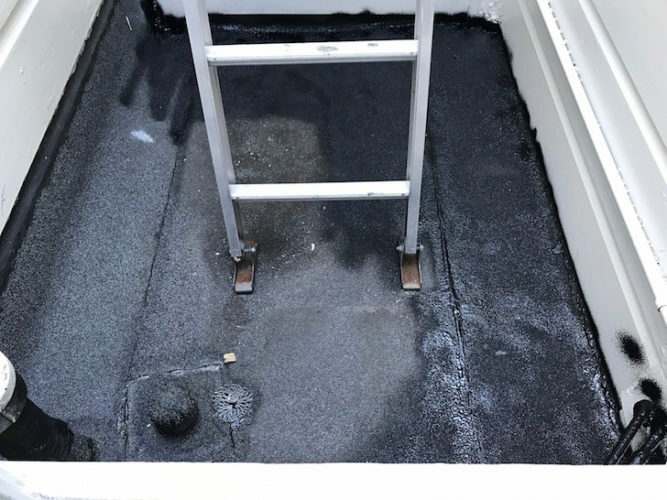 Further, my roof had a couple of weak points which after 12 years needed some professional maintenance beyond me getting up there and spraying everywhere with a roof patch. I didn’t want to spend $100,000 – $300,000 updating the house, especially because it was a rental. Although home prices should continue to do well over the long run, I’m happy I sold to reduce my homeownership headaches. The sale proceeds have all been re-invested in completely passive investments. Good luck with your property purchase! When you’re buying at record highs, you’re going to need it. Readers, what are some other warning signs homebuyers should be aware of before getting into contract? Any funny inspection stories to tell? Hello! Thank you for this article. My husband and I are wanting to buy a house at our next duty station in either San Diego or Norfolk/Chesapeake/VA Beach area. I saw the previous comment about not buying in the SD area unless staying there for many years. Would your advice be the same for my situation? We’d be living in VA or CA for at least 4 years and do a VA loan. Our goal is for a home below our housing allowance to either invest, save, or put towards our mortgage. I would appreciate any thoughts you would have on this! Thank you for your time. I’m curious…what’s your take on using savings to pay off a mortgage (put more towards principal) vs using that money for another investment (another real estate downpayment, bonds, etc.)? My grandmother always preached to get your first house paid off ASAP so that nobody could ever take the roof above your family’s head away. Excellent post. Please post more like this–very informative and much better than the usual–oh, get an inspection, oh get a good real estate agent posts. Thanks. Sam. for this excellent post! It has so many helpful tips that I’d not thought of and will add to my list of things to hunt out when home searching. All these tips are very useful for renters, as well. For a healthier home, would like to include to notice how close by any cell towers and antennas might be, as they emit RF radiation. Also, if the interior walls have been “freshly painted” and new carpet put in, to be aware (depending on type and brand) can contain VOCs and out gas for a long time = indoor air pollution. Mold and radon tests would also be helpful. In our area, just about ‘all’ of the issues that you have mentioned are now taken care of by simply hiring a ‘professional’ home inspection…a trades person who ‘knows’ and has the equipment to test for issues like moisture or settling problems …this is ‘always’ a condition of purchase in our area…and there is usually a clause that would allow for ‘revisiting’ the price if the cost of repairs goes beyond a certain amount… all of this for a cost of about 5 or 600 bucks! Just curious, when you were buying your first property what were cap rates/prices and how does that environment compare to present day? I’m a young buck (28) living in San Diego and I keep looking at SFRs and duplexes, but none seem to offer any sort of attractive return (cap rates are ~3%, maybe 4% in inland areas). I keep hearing from local investors on BiggerPockets that say prices here have always been high but we have one of the best long-term ROIs in the nation. I just don’t buy it. The numbers just don’t make sense unless you bank purely on appreciation. It seems like you’re passed the landlord stage, but wanted to hear your thoughts on buying at this point in the cycle, and in particular, buying RE in CA with super low cap rates? When I bought my properties, the cap rate was closer to around 4-4.5%. Now they are at 2 – 2.5%. You couldn’t cash flow positive w/ 20% down when I bought in 2003 and 2005. It took about 2 years to break even. So back then, it was an appreciation play as well. But I found SF to be CHEAP relative to Manhattan, where I was for two years in 1999-2001. Therefore, I decided to buy all I could afford with the prediction SF would get just as expensive as Manhattan one day. Now, I’ve redeployed a lot of my SF rental house sale proceeds with RealtyShares to buy up heartland real estate with ~10% – 15% cap rates. No maintenance headaches, no property tax I have to directly pay, and no tenants to manage. I’m feeling great so far about my real estate crowdfunding investment. I don’t think now is the time to buy SD real estate. But if you plan to live there for 10+ years, it’s probably OK.
All this is very why I’m so happy I bought a co-op. Yes, I had to be mindful of the inside when looking at the property (and am responsible for any interior maintenance issues), but the building itself is maintained by a large property management company. Where I live settling is pretty common in houses but it’s usually not a problem. 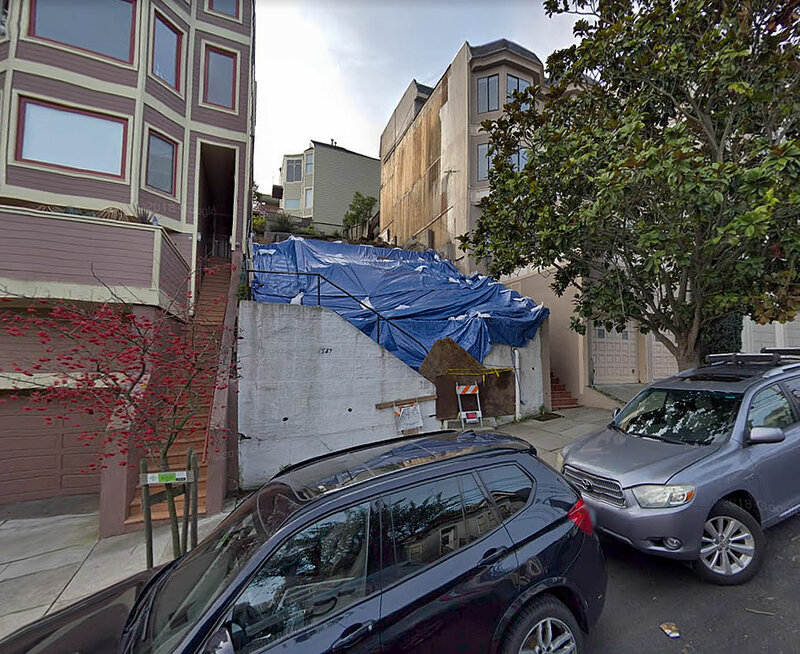 I’m sure it’s a lot easier to see foundation issues in a single-family home with space all around it rather than a SF house with no space around it. One thing I’ve seen is in flipped houses if you find construction supplies around the house it means that things were done as fast as possible and the last 5-10% of the job rarely gets completed. I had a crumbly asphalt driveway with about 100 nails on it that I didn’t see for a while. Luckily I removed them all with a magnet on a stick before I got a flat tire. And another thing is when the property doesn’t physically let you see the whole place. If there is a garage on the property line the neighbors rarely maintain your garage for free and it’s a lot harder to maintain when you have to lift everything over the fence and possibly move the neighbors junk. So much wisdom, I feel my brain growing! thanks Sam this post is awesome. I am a newbie debt-free real estate investor and here are some things I would add to compliment your insights. Please do a follow-up to this post as time progresses. – Windows: If you live in a cold state, use a thermal laser to see the leaks. – Roof: Are there shady DIY repairs? Get those inspected. Low Quality work can really cost you down the line. – HVAC Systems and duct work If your system is older than 15 years, chances are, it will need to be replaced. Also, look into the engine for mold. – Toilets: Pull the toilets up and see if there is any rotted wood. This is also a great opportunity to replace the seal (be preventative). – If you have a porch, how is the condition? Do the railings wobble? That could be a costly lawsuit if you have neighborhood kids acting like chimpanzees and they injure themselves due to a railing break. – Garbage disposal. Make sure the darn thing isn’t leaking. Also, clean it out thoroughly. An old repo home I flipped had hair, yes, hair in the kitchen sink causing all kinds of chaos. – Water Drainage. Is there flooding or any damage caused by past floods? Also, do you see the gutters poring water into the side of the home? That is a good sign that the crawlspace or basemen may have moisture (which leads to mold). Thanks a lot for your posts. I really enjoy them. When people have to resort to spray painted hedges, it makes you wonder if we have not reached the peak of the SF real estate bubble. I had never seen that trick before. You already touched upon this but it’s really worth emphasizing how important a good disclosure package is. Nobody wants to spend time to argue and money to sue. In the end however, that might be the only option left to recoup losses. Talking about online real estate, I keep hearing about the online real estate company Fundrise. Would love to hear if you have any advice on that. I really enjoyed this one. I remember looking at a condo once where every room had its own air freshener sending out powerful masking odors. That, and spotting a bong in the bathroom and Grateful Dead paraphernalia everywhere (love the band, not so much the lifestyle), just sent up way too many warning flares for me to move ahead with an offer. What would the place really smell like when all was said and done…..? Sadly, you can’t assume people are being transparent in these transactions. Totally with you as well about underestimating noise. That’s a bummer when it happens. I am fairly new to your blog, but I already learned so much. I presume that I am not as knowledgeable as others here when it comes to invensting (im a medical professional) so forgive me if my comment or question seems elementary. You mentioned in your newsletter that just like the recent FANG stocks, that real estate market can correct even 20% in what seems like overnight where most places say that it takes years to hit the bottom. Please let me know your thoughts. My husband and I are a hardworking fairly young family expecting twins who are trying to leave high rent (and daycare) NYC for Long Island suburbia but the single family real estate prices are outrageous IMO. I grew up there and I can’t even stand to pay these prices right now because they are so overvalued. Are we kidding ourselves to think that this might correct pretty rapidly? We know from all the data that New York City rents and home prices are coming down. But if you cannot afford to buy in the Long Island suburbia area, my fear is that you will super stretch yourself with debt upon debt to try to buy. It’s one thing to buy if you can afford to another words, home is 3-5X max your household income. But it’s another thing to try to buy at much higher multiples at this point in the cycle. Renting is cheaper than owning in place but another thing to try to buy much higher multiples at this point in the cycle. Renting is cheaper than owning in many places now. If you don’t have at least 30% of the property in cash for a 20% down payment and a 10% buffer, I wouldn’t buy no way. We will be in the process of buying a home in the next 6 months. So, this was helpful. We’ve already looked at a few homes (before slowing down) and notices some of the things you mentioned. Don’t forget what surrounds the home. We were first time home buyers and almost bought a home with many large trees. The inspector nonchalantly mentioned a dying tree in the yard and for some reason that kept bothering me. Luckily the deal fell through for us due to a higher offer that was accepted and the owner not wanting to help pay to remove the tree. We’re from Canada and we’re talking about huge Douglas for trees. What can you say… the joys of being a newbie home owner. Don’t forget a black light. Amazing what can be seen. Great advice Sam! We’ve bought and sold 6 properties over the years. In our experience, the home inspection was very important, but also even the home inspectors will miss problems if you’re not careful (as you point out). Example: in one purchase, the inspector refused to enter a bedroom because he was”allergic” to the perfume smell in the seller’s master bedroom. Huge red flag. We discovered pet urine damage, which was relatively easy to fix, but we got the sellers to cover the cost of new carpets, and fixing the damage. $2000 was a relatively low cost, but why should the buyer have to pay for that? It would be an injustice! Great post Sam. It’s reinforced that REITs will probably remain how I get real estate exposure. :-) Shouldn’t many of the findings (mold, frame damage, etc.) be discovered by the inspector? If they missed finding those flaws, do you think there’d be any recourse? Yes, a good inspector should discover some or all of these things. But nothing is 100%. And nobody cares more about your house than you. A lot of inspectors Simply wing it. It’s a shock how on thorough some can be. Remember that everything is a negotiation. And right now is the time to negotiate to the max. Newbie here. How do you use a needle to inspect sheetrock? Poke it lightly. It’s not obvious, and it is certainly less obvious than a nail or a screw driver, which is a lot of inspectors use. There are also tricks that are local to area you are looking in. For example, in my part of the country, we have clay soil that expands and contracts with each rain and dry spell. The author Eudora Welty called it a “slow motion earthquake”. In some places the clay is closer to the surface and causes more problems. In other places it is deep underground and causes little problems. The trick is to look at the streets. If the streets are buckled, even if newly paved, the clay is close to the surface and you will have foundation problems. However, water problems are always the worst. I always look for that when buying a house. If I can, I go look at a house on a rainy day. Really good article. Practical and insightful. Yes I agree this is an amazing guide. I’ve looked into real estate inspection advice before since I’m usually so paranoid but I found your guide about 200% more helpful than those other ones on Houzz or something written by a freelancer probably. Those pictures are super helpful too. I can’t believe $1.4 million gets demolished like that. Was there a lawsuit? It did look very iffy because…who paints and coats the entire house in blank white! They say to look at the length of ownership and the gentle small details in the house – did they clean the air vent? Small things like that. I agree with the hedge painting, it’s tacky! The San Francisco building inspection department is very tricky. There is a lot of roadblocks and bribery that goes on. When I went to get a permit back in 2005, I hired a permit expediter to help me get the permit through because people said it would take forever. One year later, the permit expediter was sent to prison! I had no idea that he was The San Francisco building inspection department is very tricky. There is a lot of roadblocks and bribery that goes on. Which is why I plan to buy a fully done house next time with at least a year warranty. Wow this is such a great guide to inspecting/buying a house! Thanks for sharing your perspective, Sam. People say with experience comes wisdom, and I think it’s particularly true in this case. I really need help with the inspection. This list is a great starting off point. I’ll look for these the next time we buy a house. Now, we’re looking to cut back on real estate too. Hopefully, we can cut down to one property in a few years. Being a landlord can be stressful sometime. Thank you so much for the articles. Your point about ownership history is an interesting one that I wouldn’t have thought much about. We moved two years ago and we bought a home that was about 27 years old, but the same couple owned the home since it was built. When we were looking at house water damage was one of the biggest things we were trying to pay attention to. We saw a few nice houses that seemed like they had water issues in the past, and we stayed away from those house. Right now I’m really glad we did because our area is currently flooded after several days of hard rain. Any house that had water issues in the past probably has really serious issues right now. Great tips for real estate inspection. I would not thought of the trick of bringing a marble to a home but that is absolutely brilliant. I knew real estate agents would sometimes have fresh baked cookies to create that homey smell but didn’t even think it was to mask an unpleasant odor. I too like online real estate better and probably will not go into physical ownership any more because the potential extra money that I lose as a passive income investor is not worth the hassle of being a landlord. The Marble is key ! It will save so much headache in the future. Just curious, how does the marble work exactly? You put it on the floor and hope it doesn’t roll? Sloping floor detector? I hope to buy a house in the next 2 years so this was a great read.